Come to Stinky's Fish Camp every Wednesday from March 20 to June 5, 2019 to enjoy Pie Day. 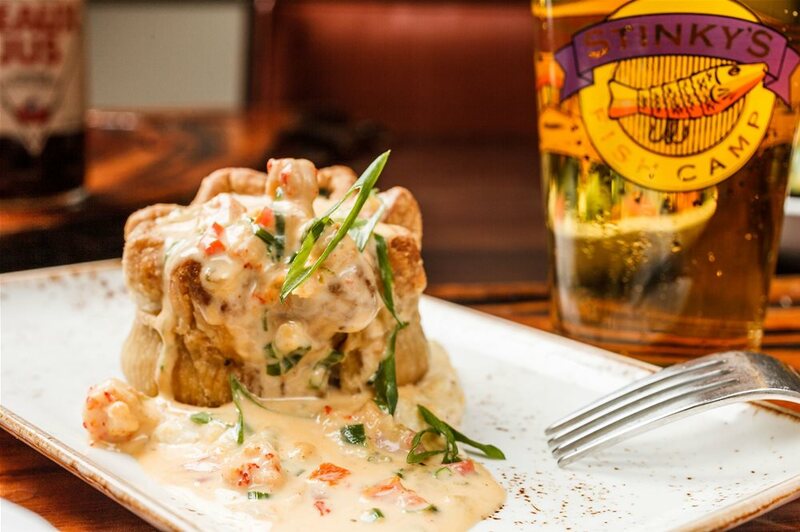 House made savory Crawfish Pie with light and flaky crust, crisp fresh side salad and soft drink. Served up from friendly folks with a smile!